Brookfield, Big Bend, Butler, Delafield, East Troy, Elm Grove, Germantown, Hartford, Hartland, Lannon, Menomonee Falls, Mequon, Merton, Milwaukee, Muskego, Mukwonago, New Berlin, Oconomowoc, Pewaukee, Richfield, Sussex, Thiensville, Wales, Waukesha, Wauwatosa, West Allis, West Milwaukee. Directions: Located on 193rd & Capitol Drive in the Fox River Business Center – a few blocks West of Brookfield Road, between Sendik’s Town Centre and the Sharon Lynne Wilson Center. From West: Take Capitol Dr. to Mitchell Park Dr. (at entrance to Sharon Lynne Wilson Center). Turn right onto Mitchell Park Dr. and then take the first quick left onto the frontage road going toward the red brick Fox River buildings. Follow the frontage road and take the first right to 19395 building. From East: On Capitol Drive go straight past the stoplight at Brookfield Road. Take the next left (sign says “Begin Left Turn Lane”) onto Richland Pkwy. 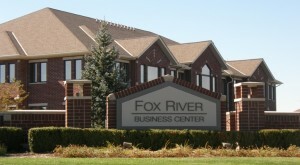 Then take first right into the Fox River Business Center. Go to the second building on the left: 19395. PARKING: It is easiest to park behind the building. Use the back entrance and go straight down the stairs. Turn left to Suite L05.